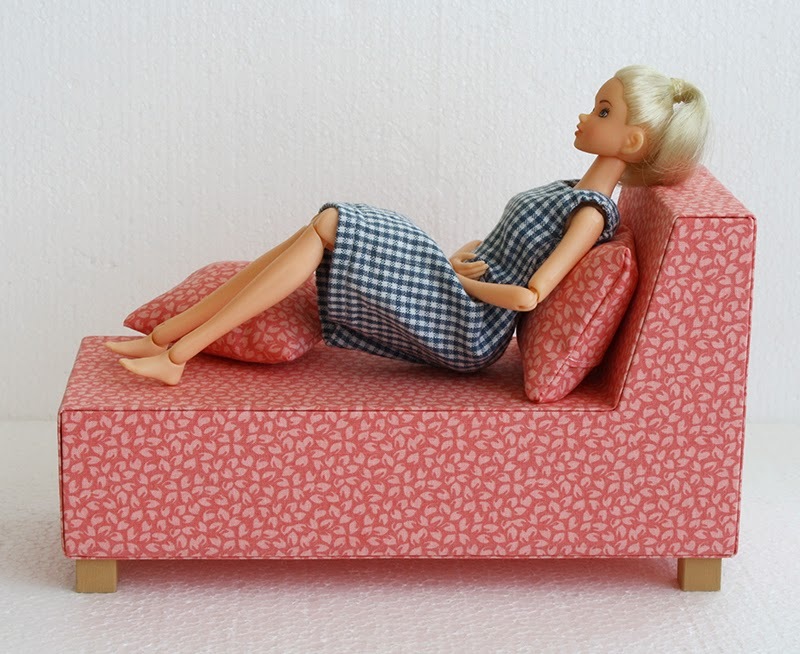 Chaise longue for 10-12" dolls. Model 612-01. Height 14cm (5 5/8"), seat height 7,3cm (2 7/8"), length 24,5cm (9 5/8"), width 10cm (4"). 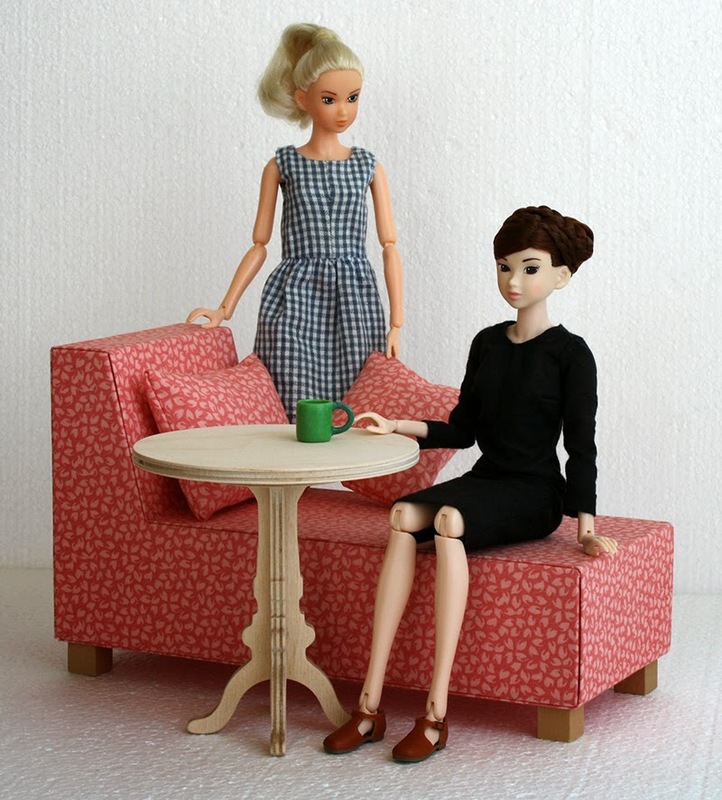 Made of plywood, wood and fabric. There is an unpainted table 608-01 at the last photo.